If you have files that are important to you, make sure you always have a good backup of them! There are many ways to lose your files. For example, your hard drive may die. (Just search for such problems on the web, you will see how often it happens!) When you replace the hard drive and use the restore discs to make your computer work again, you get the computer in the state as it was when you first bought it, without your own files that you’ve added later. Without a good backup, you won’t have them anymore. Or, consider a virus infection: some viruses may damage your system so badly that only a complete reformat of the hard drive may get rid of the virus. Again, without a backup, you won’t have your files back after that. Or, the software that you use (including our software!) may have programming errors that may cause your files to be lost. Or, there may be a human error: you could press a wrong button somewhere that would cause your files to disappear, and not notice that until it’s too late. The loss of files may happen unexpectedly. For example, consider the Windows Upgrade procedure. When you upgrade to Windows 10 (or to Windows 8, or 7) from a previous version of Windows, the Microsoft upgrade program makes a copy of all files that you have in the My Documents and other such folders. However, if it encounters a file that it cannot access (because, for example, you’ve used a file protection software, such as our Folder Guard or MySecretFolder, to hide or lock the file with a password, then Windows Upgrade program may skip such a file without giving you any opportunity to unlock the file. When it finishes the upgrade, it restores all documents it had saved before, except, of course, the files that were protected by the software. As a result, you would no longer have the protected files after the upgrade. You may feel the desire to blame the file protection software for that, but when you think of it, the software was just doing the job it was designed to do: it was protecting the files that you wanted to be protected! It should be the Windows Upgrade responsibility to alert you about any files that it could not copy, shouldn’t it? In any case, the easy solution to any such problem would be to just restore the files from the backup. If you don’t have a backup of your important files yet, then stop whatever you are doing and do a backup now. And set up a schedule to keep doing the backup regularly, to have the latest updates to your files saved, as well. If you use our folder protection software (Folder Guard or MySecretFolder), do not forget to disable the protection before starting the backup, because our software may keep protecting the files from the backup program, too! Always verify that the backup set that you’ve created actually has all the important files of yours, including those protected by our software! 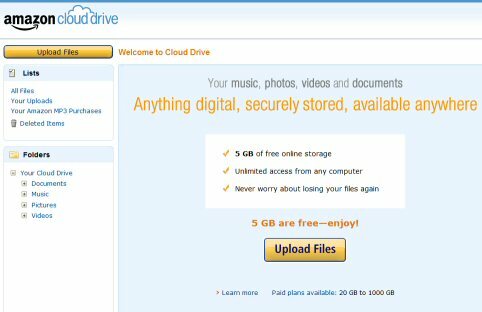 There are many online backup services, such as SpiderOak or DropBox, that offer very cheap or even free online backup options. If you don’t like the online services, get an external hard drive, they are so cheap these days. The number of the available options is large, and it’s inexcusable to have no backup of your important files, period.